To help mitigate these water quality issues, a CFAES scientist has launched a $2 million project to evaluate and, as necessary, revise the U.S. Department of Agriculture-Natural Resources Conservation Service Ohio Phosphorus (P) Risk Index to better predict the risk of phosphorus moving off farm fields. Elizabeth Dayton, a soil scientist in the School of Environment and Natural Resources, garnered a $1 million USDA Conservation Innovation Grant and $1 million in matching donations from Ohio agribusinesses to complete the project. Her goals are to make the Ohio P Risk Index accurate, add more best management practice options for farmers, and create an interactive web-based tool so farmers can calculate their P Risk Index scores, evaluate management options, and make informed decisions to better manage phosphorus. Because the Ohio P Risk Index is used by farmers statewide to develop nutrient management plans for both manure and commercial fertilizer application, it is important that the P Risk Index be as accurate an indicator as possible. 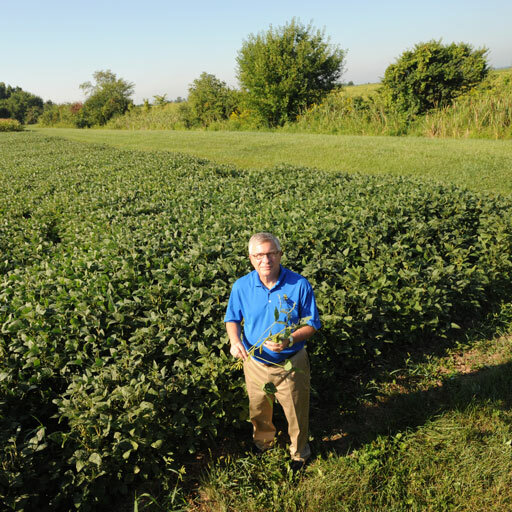 "With increased degradation of surface water in Ohio, agriculture has increasingly been cast in the role of the villain," Dayton said. "A robust, functioning Ohio P Risk Index will give farmers a better tool to manage field-scale phosphorus transport, while sustaining agricultural productivity and protecting surface water quality."